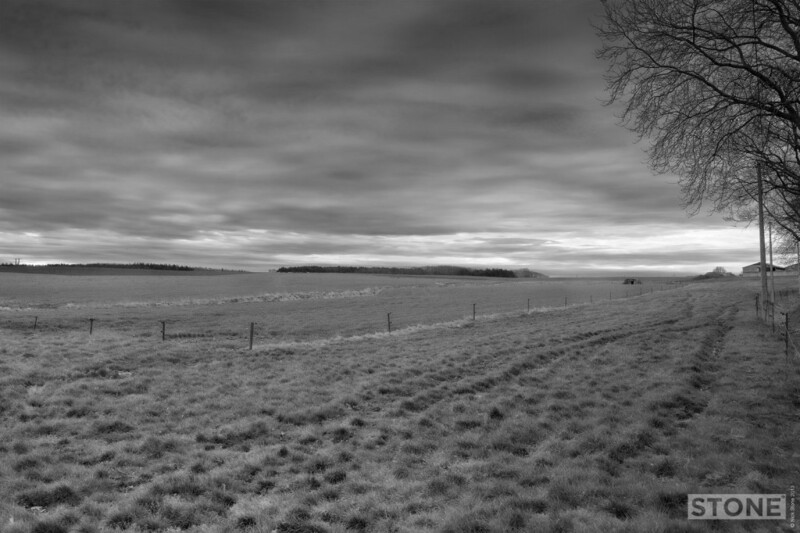 Not the most thrilling set of photographs, but the one above shows how a field with some lumps in it, tells a story or doesn’t. And of course it also tells how history is there, I’m just the princess who knows where that particular pea is under this particular mattress. So if you will imagine for a minute a different landscape, one of holes and dust, the booms and snaps of heavy and light artillery, the chat and moans of men, the rattle and clank of equipment and tanks and the barked orders of officers. Dammstrasse was a German defensive line, dug deep into the heavy soil of Western Flanders, about 3 miles South East of Ypres, one of many. This is special for me as it’s as close a view of the line as my Grandfather would have seen it as I can get. He came up to the front line as part of the second wave on the hot dusty afternoon of 7th June 1917 just after the huge mine attack along the length of the Ypres Salient, At 3.10 on that morning 19 of 23 mines exploded almost simultaneously along a large section of the German Front line on the Messines Ridge, meticulously planned and tunneled into the wet blue clay from behind the lines for months before, the explosions were so loud they were heard in Dublin and rattled windows in London. It turned the front upside down. Thousands of young German men where vapourised or buried alive, pillboxes were thrown in the air or pitched sideways, the survivors wandered around disorientated by the blast and fumes of gun cotton and ammonal. Even the British and Commonwealth lads were told to crawl out of their trenches onto the parapet or parados just in case the trenches collapsed or the blast started an earthquake, nothing on this scale had been done before. Percy and his mates got to wander into the aftermath of it across this field. The enemy artillery threw up a bit of shrapnel as they approached, they consolidated at Dammstrasse in the hot mid-afternoon sun, they were late, they’d walked from Zillebeke to the West where the previous night had been spent sitting about smoking, chatting and catching forty winks in relative safety, just ticking off the minutes. The men come up via St Eloi further back along the road, passing craters from both earlier that day and from previous mine attacks walking with conspicuous ease through what had been no-man’s-land and the German First line of Trenches. Dammestrasse, the now dead German line would have run from the top edge of the farm building on the right behind the pillbox almost parallel with the horizon nearly as far as White Chateau, which doesn’t exist anymore; now just a driveway which was Dammstrasse. The drive itself would have formed a good natural line slightly proud of the field surface; an old Roman road, the German troops had dug through the previous layers of the history, the results of the previous invaders nearly 2000 years asan artery now a deep defensive structure. The Battalion headed up towards Odyssey, specifically a strongpoint on the junction of Rosebeke and the Trench itself, it is then that the war again started to inflict real casualties on the company, Lieutenant’s Douglas-Crompton and Shoesmith led D company up to the slight crest in front of the stongpoint and ‘attacked ferociously’, both officers were killed almost immediately, 14 OR (‘Ordinary Rank’) followed with 13 injured. One of the dead was my Grandfather, A/Cpl Percy James Parr, 1st Battalion Royal Fusiliers, his number G/15743 a professional soldier aged 37, called out of the reserve he was a bricklayer, married with two children aged two and four. He along with his officers and his chums are still up here somewhere all of them form part of the missing of the Salient, all are remembered on the Menin Gate that “sepulchre of crime” part of the 54,896 reservists, regulars and officers remembered on it guarded by lions, serenaded by bugles. All the men and boys that would fit on it before they gave up and started adding them to Tyne Cot near Passchedaele as overspill. We went to Oosttaverne Wood cemetery, which is just up Risjelweg on the right. I’d like to think in my imaginings maybe they are all in there marked as “Known unto god”, or maybe they still just lie in the fields where they fell. The cemetery is a curious little affair. It has a lot of unknowns and a mix of two wars lying side by side, The product of an attack on the ridge around ‘White Sheet’ (Wyschate) as far as Hill 60. 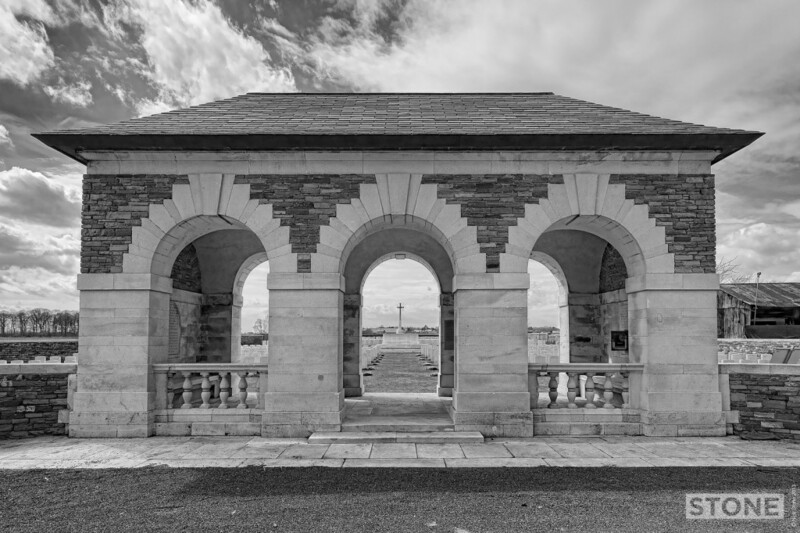 It is also the resting place of some of their nations’ sons, those who retreated across the plains of North Western Europe trying to get to the coast 23 years later on their way to Dunkirk, Le Havre, Cherbourg and Brest escaping the sons of their uncle’s and fathers’ counterparts in 1917. And here they lie “known unto god” “missing” separated only by two decades and by nothing at the same time. 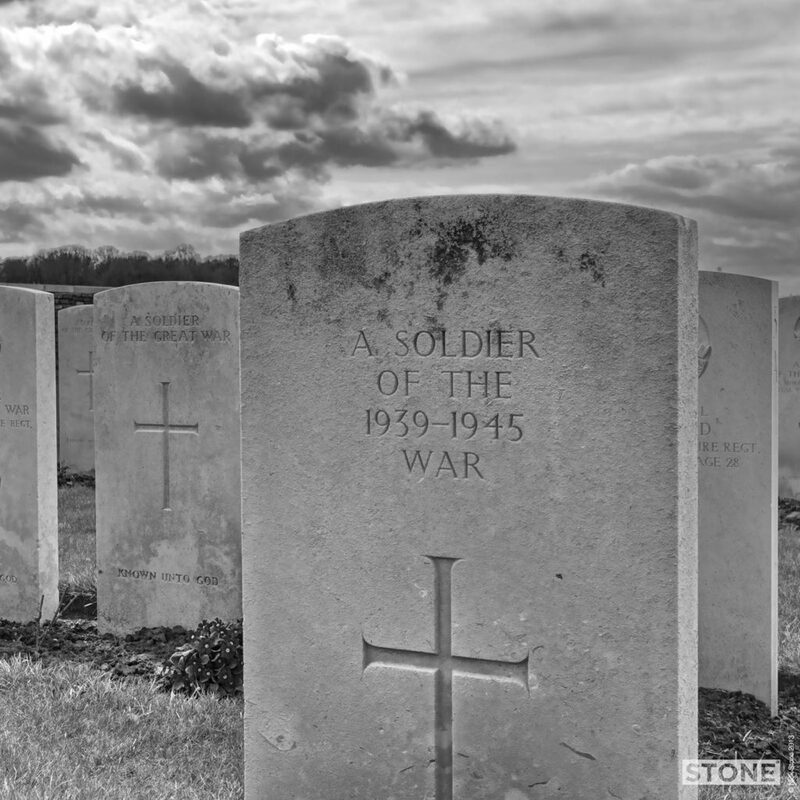 The cemetery contains 1,119 First World War burials, 783 unidentified. 117 from the Second World War, five of them unidentified. There is also one French grave hidden away in a corner. This isn’t quite the end of the long walk for me, as I’ve yet to actually find the physical spot where the Odyssey and Rosebeke cross paths and where a pivotal moment in my family’s history occurred, an event so similar to the one that’s decaying echo still whispers across so many families and is still felt so keenly by some of us to this day. So in the year of the centenary while the politicians and historians argue about the whys and wherefores I’m going to head back and do this one last thing for the little man, I’m going to find it. That is seriously emotional reading. No one else could have written it quite like you, and it hits, hard. A beautiful, emotive and achingly poignant post. It will haunt me for a long time. Good luck in your search. Thank you very much for the evocative account of the fighting around the Dammstrasse in 1917. Like you , I have a personal connection with this line, but it refers to April 1918, when 26th Highland Brigade of 9th Scottish Division were defending it from huge attacks from the east. My grandfather, A/Sergeant Douglas Thomson MM was commanding a Vickers Gun as part of 26 Company, Machine Gun Corps . He was in support of 5 Camerons, who were strung out along the Dammstrasse. “I have just returned from the 100th anniversary of the First Day of the Somme with Dunfermline Athletic Heritage Trust. 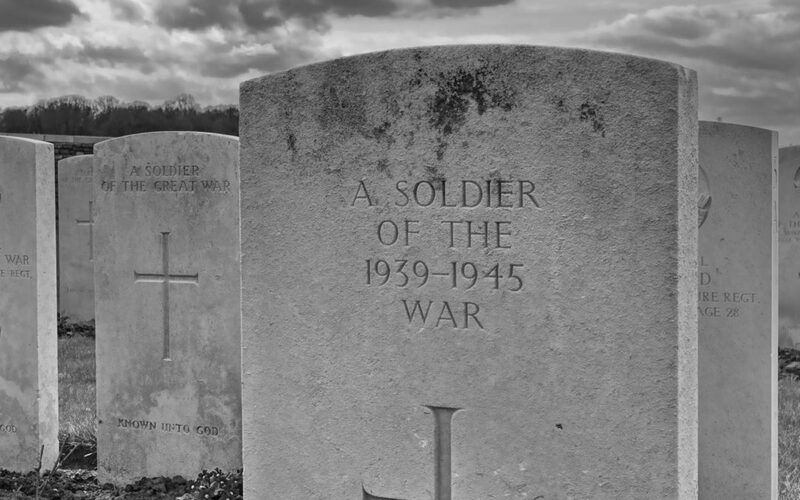 However amongst the massive and shocking loss of life on the Western front between 1914-18, I want to focus on just one death; one tragedy. It is the death of Second Lieutenant John Turnly of Drumnasole in the Antrim Glens. In the desperate fighting south of Ypres in April 1918, the battered remnants of 26 Highland Brigade of 9 Scottish Division fought with great courage to prevent the last great German assault of the War from breaking through. April 16 saw 5 Camerons strung out along a section of road between Wytschaete and Ypres. Just above the road, which was the Dammstrasse, south of St Eloi, two Vickers guns of 26 Company Machine Gun Corps supported them from dug-in machine gun nests. Turnly scrambled up the bank to better direct fire on the advancing Germans. They had occupied ‘Pheasant Wood’, to the south-east of the Dammstrasse. As he got to the sky-line, the gun commander of one of the Vickers guns shouted to him to keep down. It was too late, the young (19) and brave former student of Trinity, Dublin was hit in the head by a German bullet. He was dead as he fell. The man who shouted was Acting Sergeant Douglas Thomson MM, my grandfather. They buried him in the bank for later retrieval. Unfortunately the grave was lost in subsequent fighting. Today John Turnly is commemorated on the wall at Tyne Cot Cemetery. Douglas Thomson never forgot that moment although he lived to 84. He had been just a few months older than John Turnly although in almost continuous action from 1916. Why is the Menin Gate a “sepulchre of crime” ? Was defending Belgium from German aggression in your view a criminal act ? If so I seriously disagree with you. You’d better take that argument up with Sassoon.